Susanne Cruickshank on the evidence that maintaining fitness levels during cancer treatment can improve psychological and physical well-being. I listened to an interesting presentation this week by Dr Anna Campbell, a senior lecturer at Edinburgh Napier University, about the benefits of physical activity following a diagnosis of cancer, pre-treatment and during treatment. The evidence is quite compelling that maintaining levels of fitness during treatment can improve psychological and physical well-being. It seems it can particularly improve levels of confidence and fatigue, two areas that are frequently raised by patients in their interactions with nurses. Some research is also reporting links between exercise and improvements in overall survival. What does this mean for nurses? Well, we need to start thinking about how we translate these findings into our conversations with patients. Countries such as Denmark prescribe exercise programmes for all patients undergoing chemotherapy, rather than offering it to a small number, irrespective of age and fitness. Although Macmillan Cancer Support offer a Move More guide about physical activity and cancer, with some regions offering group-based classes in fitness centres, it is an opt-in rather than an opt-out. CanRehab, provides training for health and fitness professionals to ensure they have the necessary skills to deliver sessions. 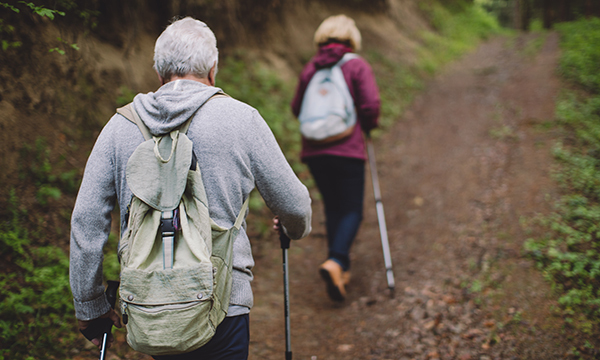 Recognising different needs of people with cancer is important, but it seems there is no need to be as cautious about exercise as sometimes we have been. Engaging in some form of physical activity is certainly not harmful. As nurses working with people affected by cancer we have so much knowledge about cancer, managing side effects of treatment and supporting recovery. However, I think there is much more we could do to encourage and support physical activity as part of recovery. How often have patients asked about what they can do to help themselves through their treatment? It seems that staying physically active is something they can do, and it can support their recovery. Look out for more information about this in future columns.